If you are looking for something really special, with an intimate and stylish charm, the Madeleine is for you. 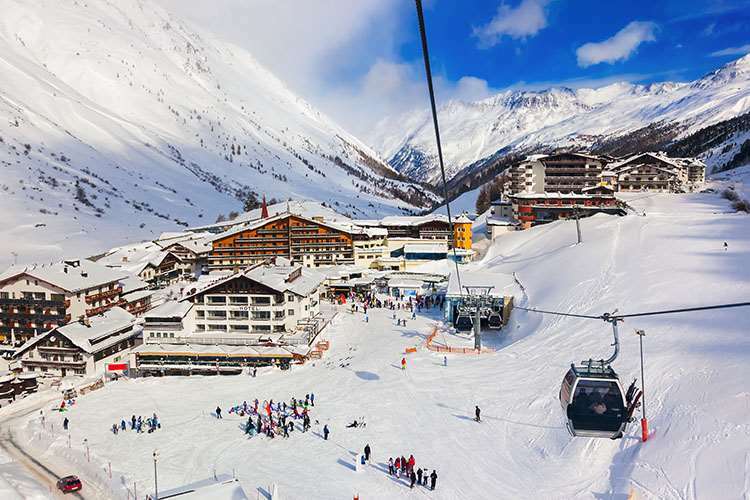 The stylish Hotel Madeleine, on the edge of Obergurgl village, is an excellent choice for those looking for a friendly but luxurious option. Rooms are spacious and the hotel has a good reputation for fine cuisine. For winter 08/09 a new relaxation area was opened together with renovation of the wellness facilities and bathrooms. Sauna, Whirlpool, Steam room, Calidarium, New Relaxation room. Please note: Children must be over 16yrs to use the Wellness facilities. Austrian twin rooms have private facilities, hairdryer, safe, bathrobes, Internet access and cable TV. Rooms with a balcony,Family rooms sleeping up to four people with a balcony, Single rooms and Suites sleeping up to four people in an Austrian twin room with a separate living room and pull-out sofa bed (ideal for families), are available at a supplement. Please Note: children must be over 16 yrs to use the relaxation room, but are allowed in the wellness area.